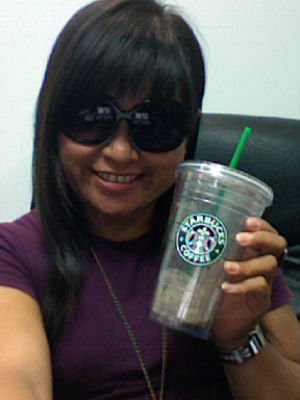 Hi Coffeeholics! 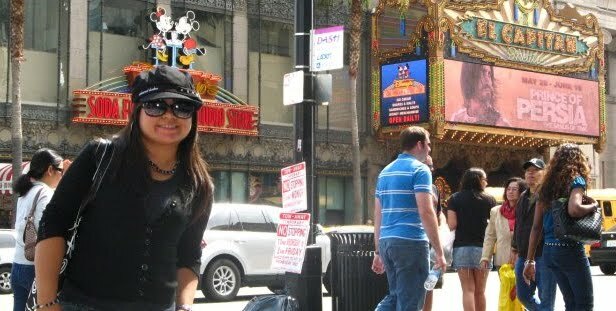 If you are wondering about that pic, that was taken several years ago when I was able to go to the States. It was truly a memorable experience! I was so excited to escape the heat of summer (it was May after all) and anticipated cool weather (cool as in I'd be wearing a sweater, a scarf, all the winter trappings.. the works! LOL.) Yeah well it wasn't as cold as that believe me. I only needed to wear a light cardigan. But what was surprising was how bright the sun was (and that the sunset was around 7-8 pm.. weird! XD) and that I was so grateful that I brought my sunnies with me. All the more now here in the Philippines. With this scorching heat and glare of the sun, we are all better off being protected properly from the sun by using our sunnies, shades, or sunglasses! Now to be honeset, I've had a love hate relationship with sunnies. I wear glasses. 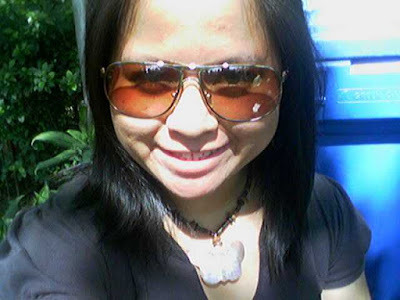 So when I wear sunnies to shade my eyes from the sun, everything else is blurred. Yes I've tried wearing contacts. 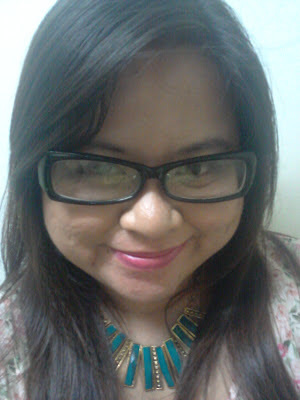 But somehow, wearing glasses has come to be more natural to me. Soooo yeah, I end up putting up with a blurry but shaded view when outdoors. Then I just switch to my glasses whenever I go indoors. Hehehe. Fashion over comfort? But still, finding that perfect pair of sunglasses is not easy So if you haven't found it yet, you need to go to the basic which is FIND YOUR FACE SHAPE. 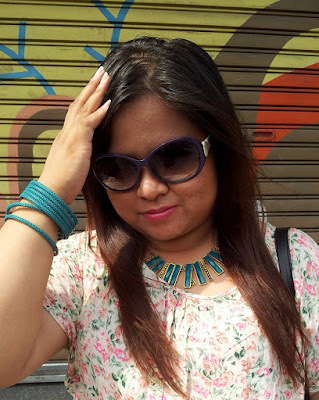 The perfect sunnies for you is dependent on your face shape. Believe me I know. I have worn shades that is not for my face shape and look ridiculous in pictures. And since its still summer, you wanna immortalize your memories for this year, well then choose your sunnies wisely. 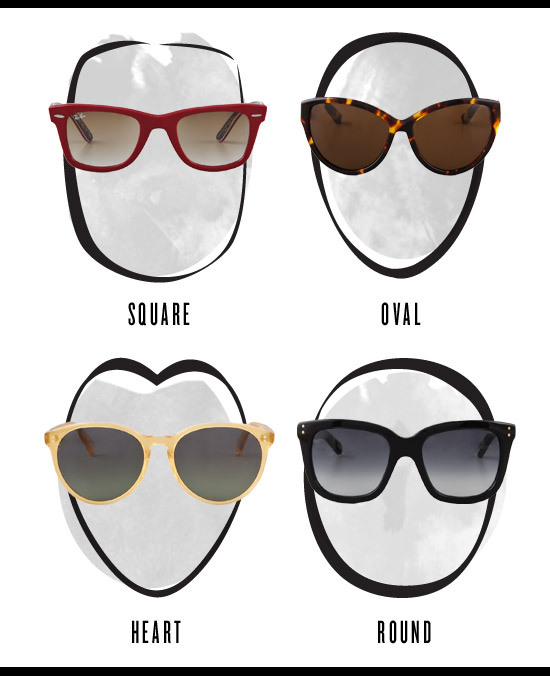 So here is a list of face shapes and what shape your sunglasses should be. My face shape I think is a combo between a round and a square. So I try to pick shades that would flatter my face shape. Remember, the general rule is that you pick the shape of the sunnies that is opposite your face shape. SQUARE faces - you can wear Cateye or Rounded shades. OVAL faces - lucky you! 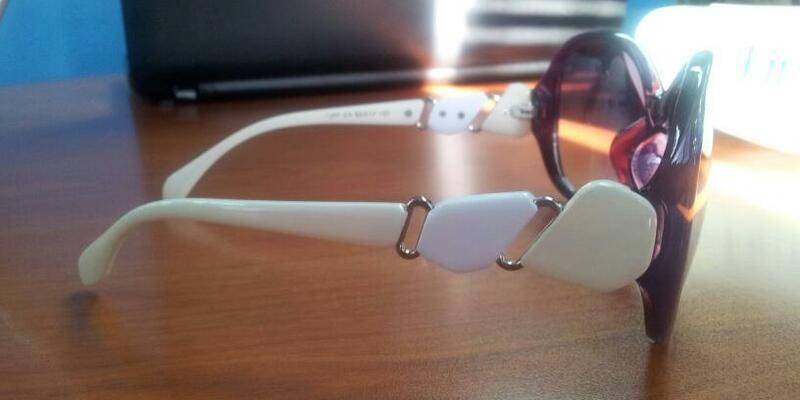 Any sunglasses shape will look good on you. 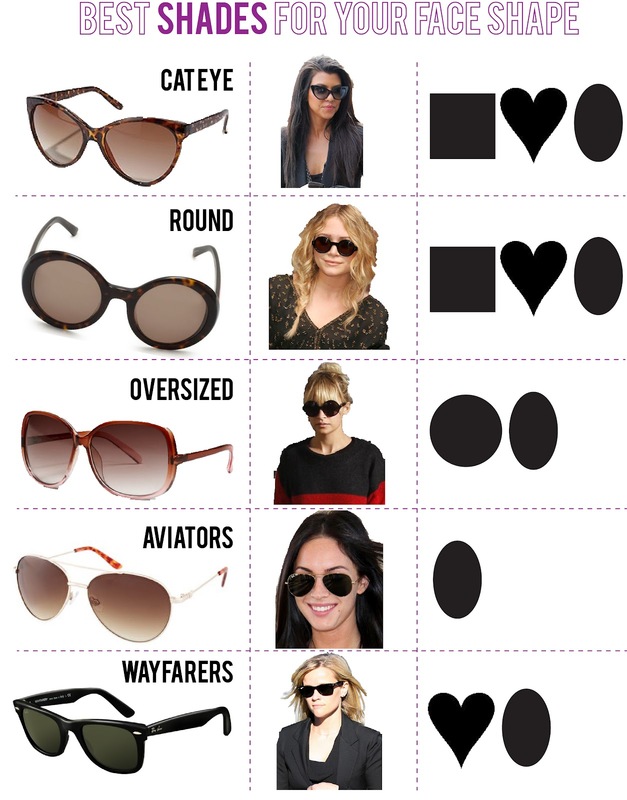 HEART faces - you can wear Cateye, Round, or Wayfarers. So now I generally stick to cateye shapes and oversized shades. Its a big NO NO for me to wear round shades. I've tried it and felt I looked weird. Now I'm not saying that if you don't follow this you will look silly in other shaped shades. I'm just saying that before you buy a pair of sunglasses, try it out first. You have to see yourself in the mirror wearing it and not just order it online or buy it off the rack coz it looks pretty. 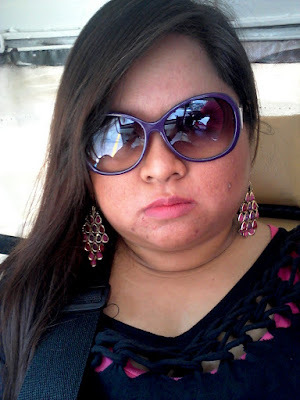 Some people like to defy the norm and still wear sunnies that isn't flattering to their face shape. Well as long as you think you can pull it off then go for it. XD I mucked it out on my own even if it was unflattering. 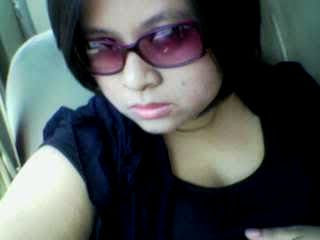 But I eventually I ended up buying shades that would suit my face shape. Ordering online can be tough coz you take the risk that it might not suit you. The best bet is to choose the shape that you already know fits you. Or better yet, try Firmoo! If you have been online as much as I have and have been reading blogs, I bet you've heard about Firmoo already. 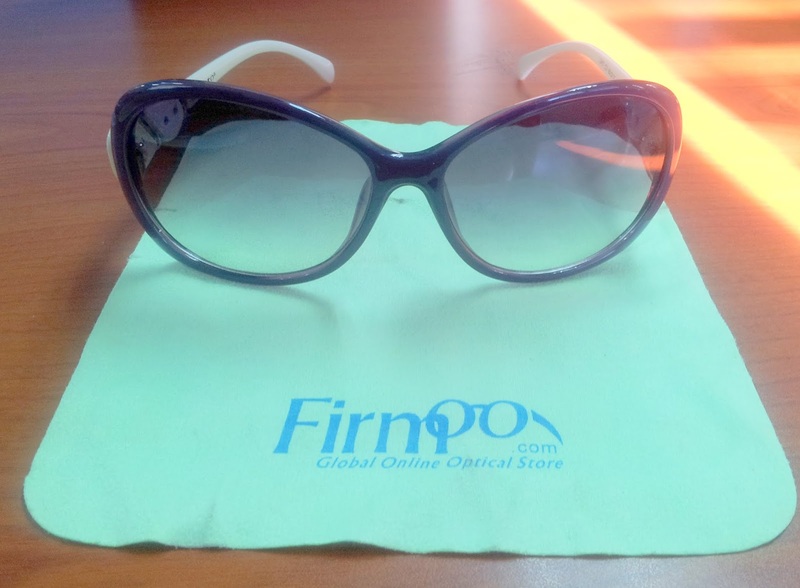 Firmoo is an online optical store that offers a lot of stylish eyewear all over the world. One thing I appreciate about Firmoo is that you can virtually fit the glasses or sunnies that you wanna try. 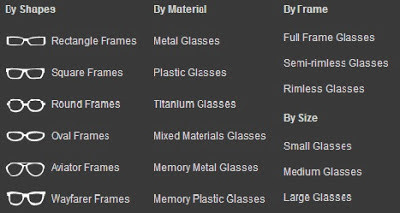 You also have the option to choose the frame by shape, material, or frame. 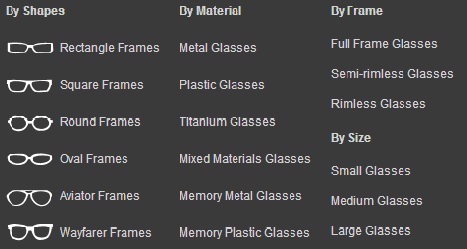 There is a whole different section for sunglasses as well. Just follow the steps on uploading your photo and presto! You can check out which style suits you or not. Anyway, I won this Firmoo shades at a giveaway contest last year. They let me choose the shades that I want and of course I chose PURPLE (lol) and OVERSIZED shades. I got the item a bit late (tapos na ang summer! :P) so was only able to wear it a few times. Love it! If you want to order your own shades from FIRMOO, well I've got good news for you. You can get a 30% discount by typing in the code KAISENSEIBLOGE2 when you order a pair from www.firmoo.com (the designer glasses are excluded). This code can be used up to 6 times only and is valid only up to June 19. So if you are going to use the code, let me know by commenting below! Me and my Firmoo Shades! Hey Coffeeholics! So do you know your face shape na? Do you already have the perfect sunglasses? Hope this post has helped! Have a happy summere! I've been seeing Firmoo posts everywhere hehe. How much is the shipping fee? I'm wearing eyeglasses so I want to check this out. 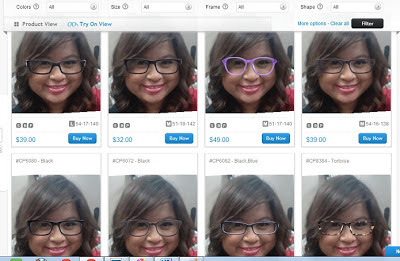 It's nice that Firmoo has a wide range of glasses to fit different face types. Yup I love trying on Sunglasses too.. even though I instinctively know that it doesn't suits me. LOL. Do you wear glasses? I'm considering of getting frames at Firmoo as well. Hmmm haven't tried buying from them yet. But when they shipped my shades, the return address was from China. Yup! For me the fun part was seeing a photo of me trying out the various glasses. It really gives you a good idea which ones you should pick. finally you're a certified Firmoo user :) Congrats girl.